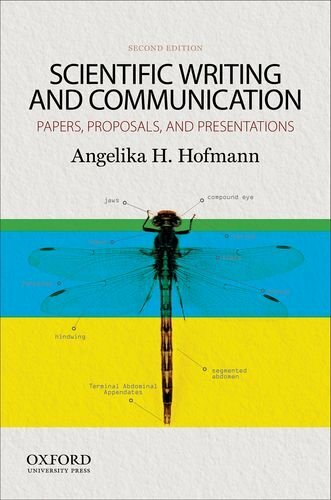 Scientific Writing and Communication: Papers, Proposals, and Presentations, Second Edition, serves as a comprehensive "one-stop " reference guide to scientific writing and communication. 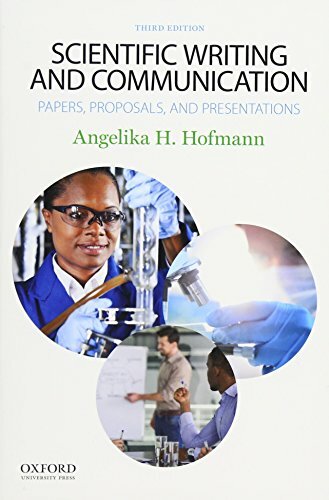 The second edition of Angelika Hofmann's successful text covers all the areas of scientific communication that a scientist needs to know and master in order to successfully promote his or her research and career. This unique "all-in-one" handbook begins with a discussion of the basic principles of scientific writing style and composition and then applies these principles to writing research papers, review articles, grant proposals, research statements, and résumés, as well as to preparing academic presentations and posters. Scientific Writing and Communication: Papers, Proposals, and Presentations has been used successfully for a number of years in courses on scientific writing at various universities and institutes worldwide. Readers of the second edition will find numerous new examples and exercises, many with an expanded interdisciplinary focus. Every major section of the text has been updated, with new sections on writing mechanics, expanded coverage of grant writing (including the latest need-to-know information on writing successful federal grants), more advice on preparing posters, conference presentations, and job resumes, and a new set of "Top 20 Tips " quick-reference appendices for using Microsoft Word, Excel, and PowerPoint. The new second edition of this handbook shows readers how to write clearly and how to recognize shortcomings in their own writing. The book targets a broad audience ranging from upper-level undergraduate students to graduate students, from postdoctoral fellows and faculty to fully fledged researchers. It does so not only by providing crucial knowledge about the structure and delivery of written material but also by explaining how readers go about reading. The level of presentation is geared for those looking to improve their writing without having to read many different books on the subject. Although the second edition of Papers, Proposals, and Presentations can be used as a textbook, it is structured such that it is equally self-explanatory, allowing readers to understand how to write publications or proposals and to present scientific talks without having to take a class.